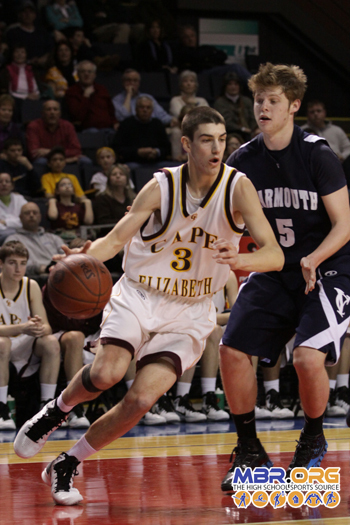 Cape Elizabeth knew it wouldn't be easy beating Yarmouth to reach the State Title game. While Yarmouth gave everything they had, it wasn't enough as Cape outlasted the Clippers, winning 61-47. The Capers got off to a strong start, starting the game on an 11-2 run, as Cam Brown pushed them ahead early. Four different Cape players would score, and the Capers led 17-7 at the end of the first quarter. 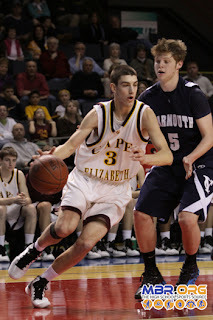 Yarmouth struggled with turnovers, and Joe Doane hot two 3-pointers to help Cape pull even further away. Yarmouth would come back, however, as Josh Britten, Luke Pierce, and Matt Murphy each made two field goals, and the Clippers went into halftime down 30-24. Both teams struggled coming out of the locker room as they pace slowed down. Theo Bowe scored the only two baskets for Cape in the quarter, but the Capers pushed the lead to 39-31 at the end of the third quarter. Yarmouth go into foul trouble and let Cape do damage from the line. Yarmouth couldn't manage a comeback in this one, as Cape got comfortable from the charity stripe. The Capers hit an astounding 15 free throws in the fourth quarter as they cruised into the finish. Doane led the Capers with 20 points, and Bowe added in 19 of his own. 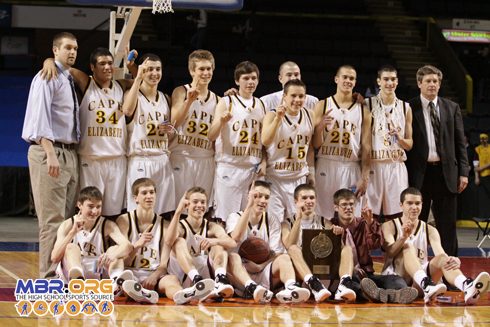 Cape now heads to the State Title game next Friday night at the Cumberland County Civic Center.